CHRISTIANSBURG, Virginia (June 6, 2016) – When Christiansburg’s retail growth exploded along Route 460, approximately 11.37 acres remained undeveloped. Now, the owner is preparing to sell that land in a June 28 auction, with Woltz & Associates marketing the land and managing the event. The land will sell in three tracts along Farmview Road, just south of the development that includes Home Depot, Target, and Spradlin Farm Shopping Center. One tract is approximately 3 acres, and the other two are approximately 4 acres. The tracts will sell subject to a combined minimum bid of $995,000. Also selling will be two small signage tracts along Route 460 on Farmview Road and Spradlin Farm Drive. “The location couldn’t be better, with 23,000 vehicles passing by per day and easy access to Blacksburg and Interstate 81,” said Jim Woltz, president of the auction company. “The tracts are zoned B3. In addition to Home Depot and Target, the area has a Wal-Mart Supercenter. We believe it’s time to put these tracts in the hands of someone with a vision to bring further development,” said Woltz. “Christiansburg is a highly desirable town that is taking a proactive approach to growth. It recently adopted a comprehensive plan to ensure a positive business climate through coordinated land use, housing, transportation, public safety and other services. 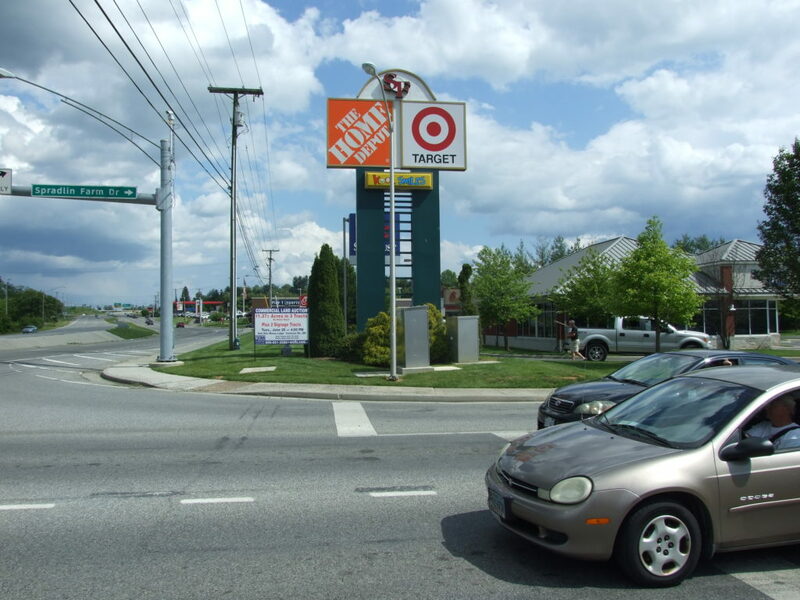 This high-traffic commercial area is perfect for further retail development,” said Woltz. Woltz personnel will be at the site from 1 to 3 p.m. on June 14 and June 21, or by appointment. The auction will begin at 4 p.m. Tuesday, June 28 at the Montgomery County Moose Lodge, 115 Farmview Road Northwest, Christiansburg. Individuals seeking additional information may visit www.woltz.com or call 800-551-3588.